If intensely challenging work that has the potential to impact the lives of everyone is something that excites you, then you should think about a career in one of the riskiest biologist positions out there. This means working in a level 4 laboratory. Level 4 laboratories involve working with some of the world's most deadly diseases. These scientists will be studying some of the most dangerous viruses and microbes. The aims will vary and can include strategies to prevent these microbes from getting into the environment. At the same time, safety for everyone is a top priority. Anytime a laboratory has been designated a level 4 one, it means that special care must be taken. Containing the viruses and microbes is important and there will be a number of key measures used to ensure that the laboratory is both safe and secure. What Does a Level 4 Laboratory Look Like? Usually, these kinds of laboratories have very secure entryways and exits. The doors will be double-locked and they will be 'airtight' with their own unique, ventilation systems. All of the surfaces upon which work is conducted will be frequently disinfected and sterilisation techniques such as those via gas, liquid or heat will be use to maintain safety. Those who work in these high-risk biology positions will need a bachelor's degree in biology, chemistry or a relevant life sciences area. Postgraduate training is beneficial and there are also special training courses specific to those who want to work in a level 4 laboratory. 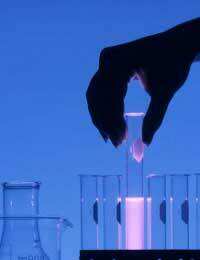 At present, there is a strong global demand for qualified biologists who will work in a level 4 laboratory. As new positions in the biosafety arena grow, so does the demand for healthcare professionals. Now is a good time to think about going into this challenging health career area. In this kind of a health career, there aren't usually second chances if something goes wrong. This is why it is vital for stringent safety measures and regulations to be in place at a level 4 laboratory. This translates to the need for professionals who have a strict attention to detail, perfectionist approach to work and an unwavering respect for safety and caution in the workplace. Unfortunately, things do go wrong, although it's uncommon for them to do so. Take, for instance, the incident in 2004 when a scientist in Russia died after an accident occurred where she infected herself via a needle containing the Ebola virus. This happened just months after a scientist in the United States fell prey to the same accident, although survived. Choosing a health career isn't always easy but working in a level 4 laboratory as a biologist may just be the right one for you. Although working in a level 4 laboratory is considered high-risk, those who enjoy challenges and the prospect of working with deadly diseases to improve scientific knowledge and the safety of humans will find this their ideal health career.